One morning, Jeremy notices that a man possessed by XANA has sabotaged the Supercomputer. It will be destroyed beyond repair if Jeremy doesn’t fix it, and fast! The youth makes tracks toward the computer lab… but is cornered by Jim, who reminds Jeremy that it happens to be the day for dorm inspection! Jeremy goes ashen: he has had absolutely no time or opportunity to clean his disaster zone of a room… and Jim refuses to let him go before it is taken care of! 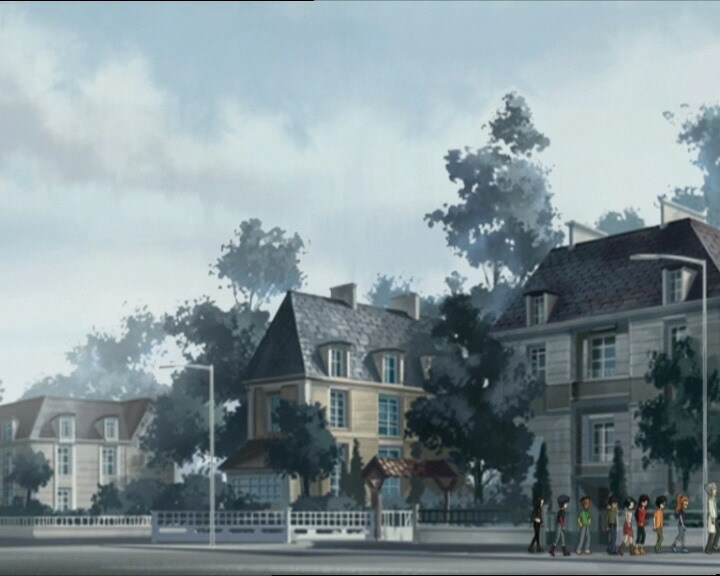 Aelita dashes to the factory in his stead to try and repair the Supercomputer, but XANA raises the stakes by activating a tower and sending an attack aimed at Yumi, Odd and Ulrich. 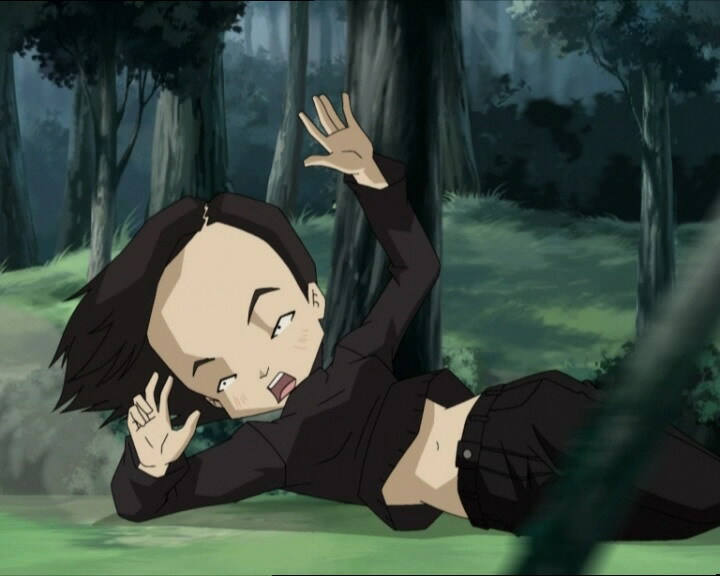 Aelita finds herself confronted with a double mission: she must get to Lyoko to deactivate the tower and save her friends and repair the Supercomputer before it’s too late! The heroes are battling out the front of a tower to deactivate and seem to not be having much difficulty. However, when Odd is fighting against a Krabe, he’s suddenly frozen midair at the Krabe’s mercy! His image starts to crackle, and then Ulrich meets a similar fate when he tries to Supersprint to his confused comrade! 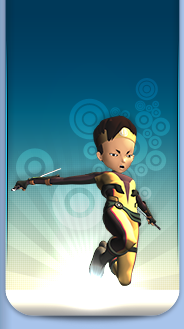 The two Lyoko Warriors are both devirtualised while the virtual bugs affect Aelita and Yumi as well! 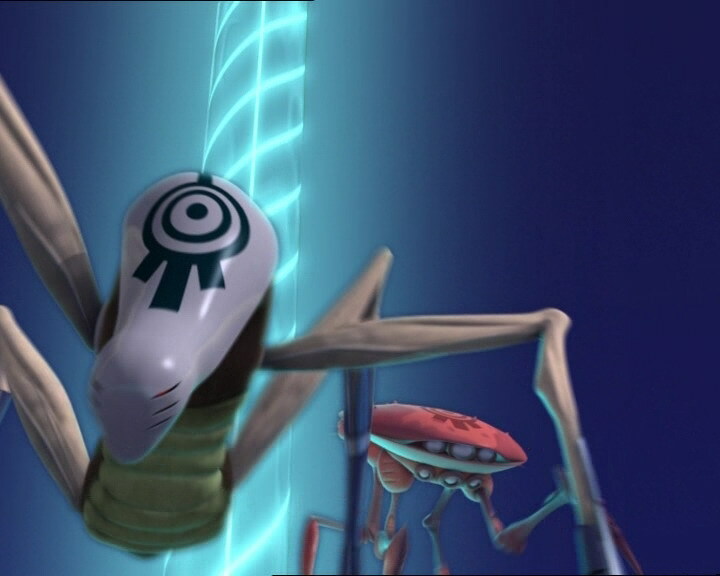 Yumi sacrifices herself by drawing the last Krabes’ attention and Aelita runs to the tower, passing beneath the legs of the final Krabe, which is also bugged up! The heroes worry about the sudden malfunctioning of the Supercomputer. They go back to Kadic, except for Jeremy who stays back late at the lab to investigate, forgetting that it’s dorm room inspection day with GI Jim. However he discovers in an examination of the Supercomputer that the internal circuits have been sabotaged and badly damaged. 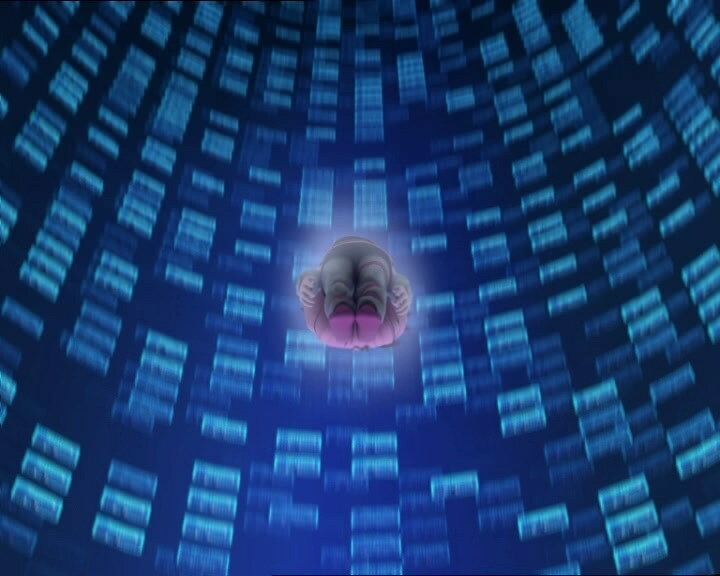 This is causing a progressive drop in quantum bites, which are causing the bugs on Lyoko due to a drop in computing power. 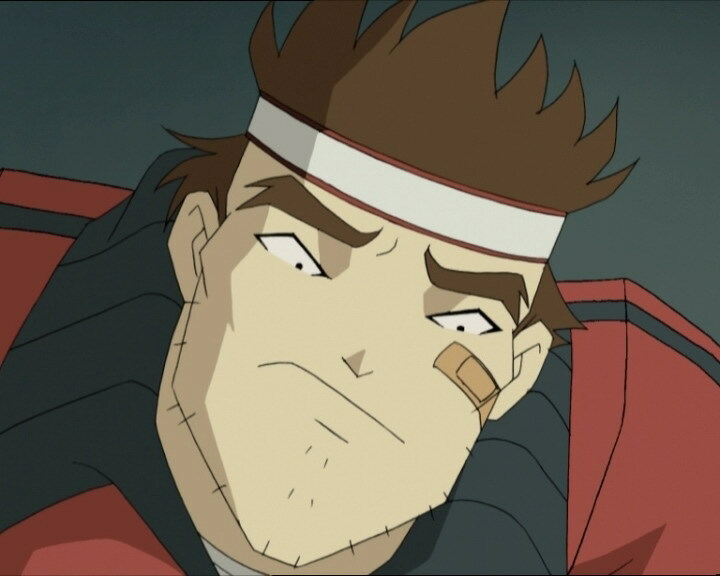 Jeremy realises that if he doesn’t fix the computer quickly, Lyoko will be deleted along with all the Supercomputer’s processing power! Watching the surveillance tapes, Jeremy finds out unsurprisingly that XANA is responsible for the sabotage, through XANAfying one of Kadic’s staff, the groundskeeper Michel Rouiller! The next day Jeremy explains to his friends that they only have three hours to fix the Supercomputer. Unfortunately, before he’s finished his breakfast Jim catches him and takes him to his room for inspection: his room that is in a shambles. The brainiac discreetly passes the material to repair the Supercomputer to Aelita and begins to tidy up his room. 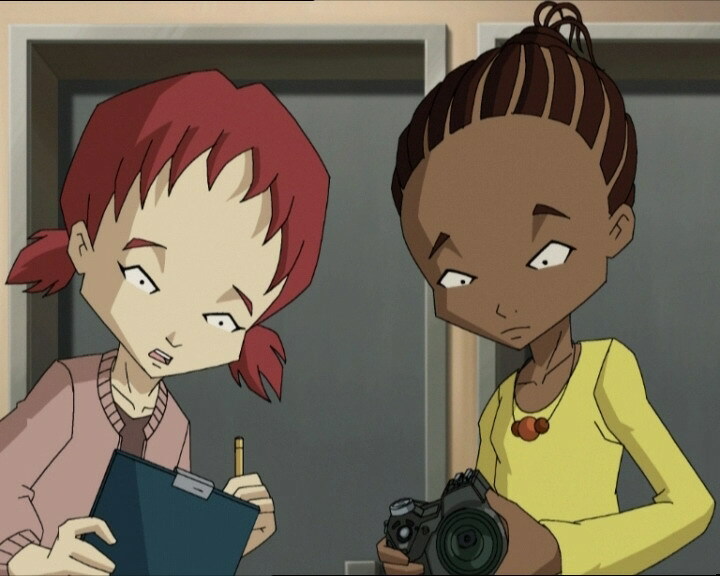 Aelita heads to the factory while Yumi goes on an excursion to an art exhibition and Odd and Ulrich go to class! Not wasting time, XANA launches a new offensive: a tower is activated in the Ice Sector! 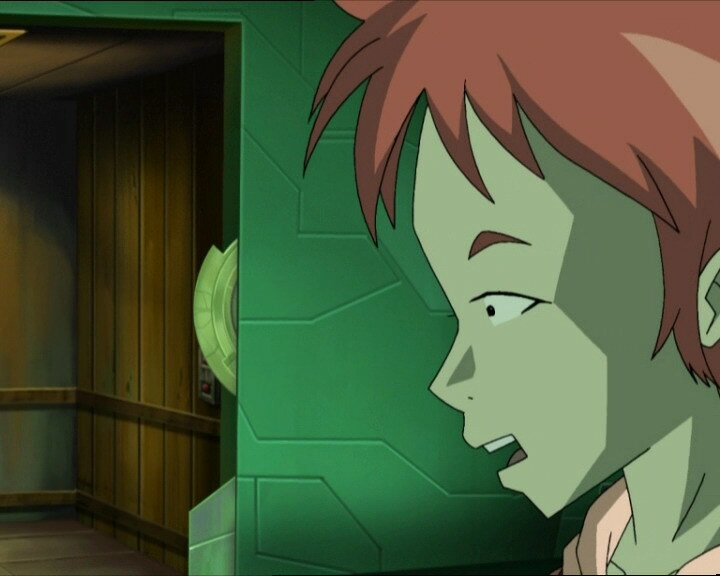 Jeremy remains in his room, powerless to do anything as the alarm sounds on his computer; Aelita calls her friends and goes down to the Supercomputer room to repair some of the damage. XANA doesn’t let the heroes get away that easily however: roots burst from the ground in the woods and attack them. In one area, they immobilise Odd and Ulrich in the park, and in another, they chase Yumi through the forest after she leaves her class group! Jeremy finishes cleaning his room (somewhat) and escapes from under Jim’s nose, the teacher still unsatisfied with the job he did. In the park, he frees Ulrich before falling victim to the roots himself! Aelita and Ulrich virtualise alone and start to fight the monsters in a ridiculous fight, riddled with bugs! Luckily, the bugs also affect reality, allowing Odd and Jeremy to break free. 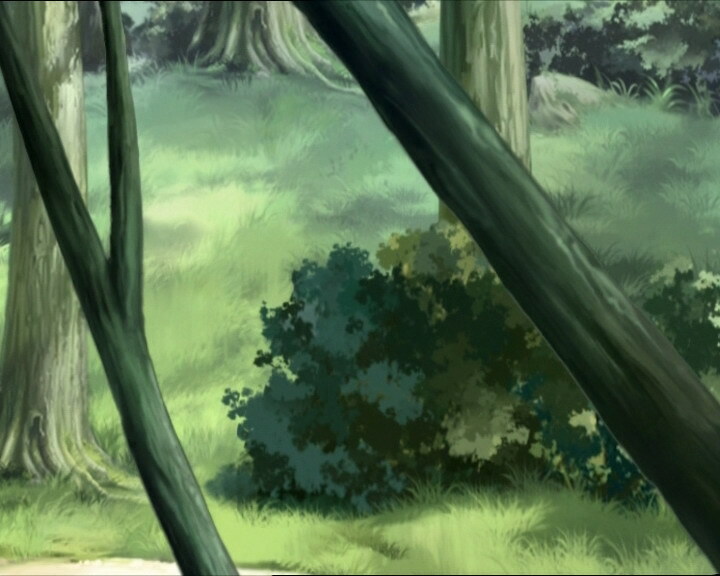 Yumi doesn’t have as much luck though, and is dragged across the forest floor by a root. While the vegetation prepares to bury her alive, time runs short! 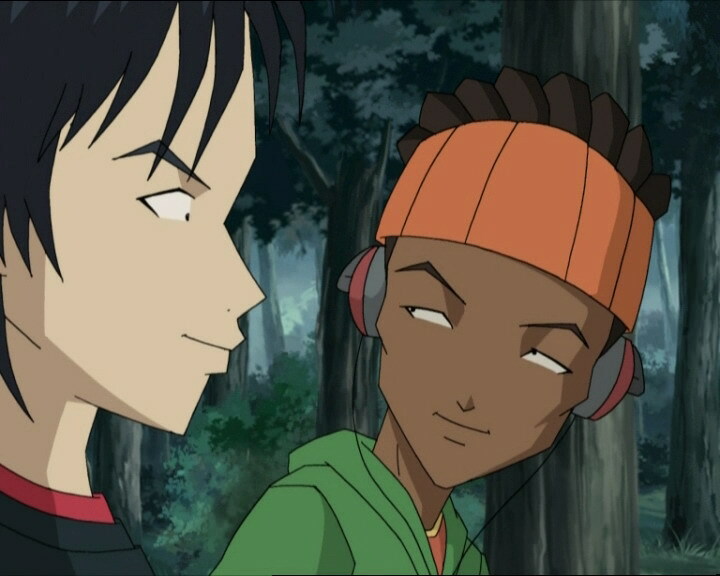 Odd joins the others on Lyoko while Jeremy repairs the Supercomputer. The tower is still inaccessible. XANA uses all kinds of monsters to keep them from it: Krabes, Tarantulas and Megatanks! Another problem arises: to finish the repairs, Jeremy must reboot the machine. Therefore, the tower must be deactivated at all costs! Seeing the impossible situation the heroes are in, Aelita proposes another way: destroy the Ice Sector! The infected tower will be deactivated and the Supercomputer will gain a huge amount of power. The heroes execute the plan and the Ice Sector deletes itself! The monsters fall into the Digital Sea. 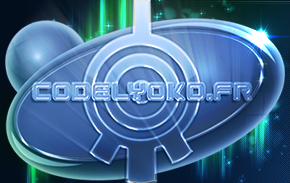 The Lyoko Warriors form a triangle and devirtualise one another. 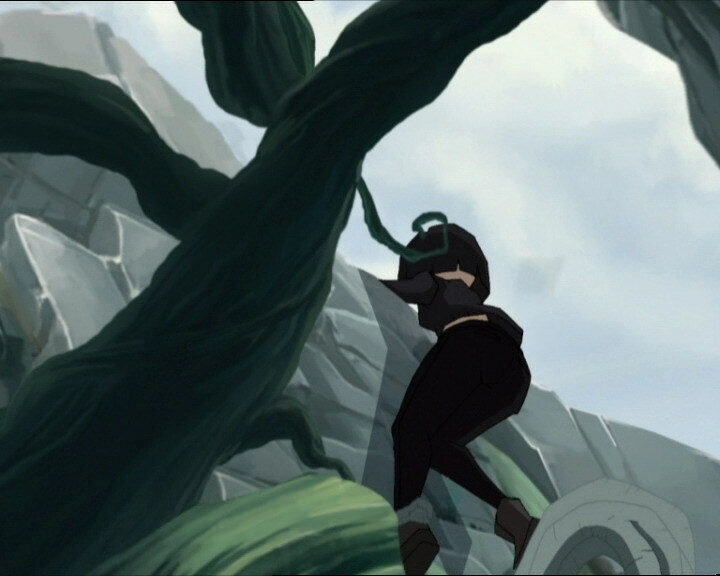 On Earth, Yumi climbs out of a crack in the ground, freed from her attackers! The heroes meet in Jeremy’s room and worry about how there’s only one surface Sector left… They need to be vigilant and find a way to access Sector 5 directly, and quick! - Attack: First XANAfy Michel Rouiller to damage the Supercomputer, then take control of tree roots to restrain the heroes while the Supercomputer is being destroyed from the inside! - Destruction of the Ice Sector by the Code XANA! - First time three heroes devirtualise one another. - Jim can’t eat shepherd’s pie and he says he wants to keep the identity of students who failed the inspection anonymous. - The factory microphone is missing from Jeremy’s ear when he says “virtualisation”. - Yumi’s outfit is inversed when Ulrich runs around the Tarantula. - The doors to the dormitory rooms change colour nonstop (light brown, dark blue and grey). 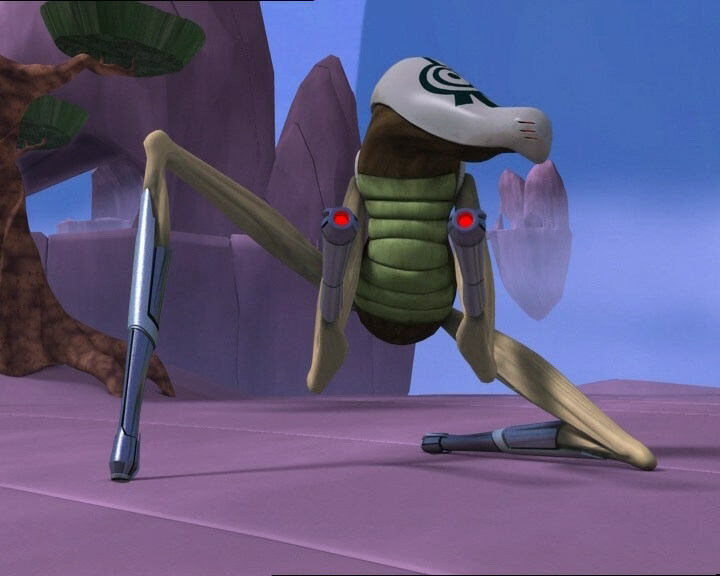 - The colours of Odd’s pants are inversed when Jeremy explains the cause of the bugs. 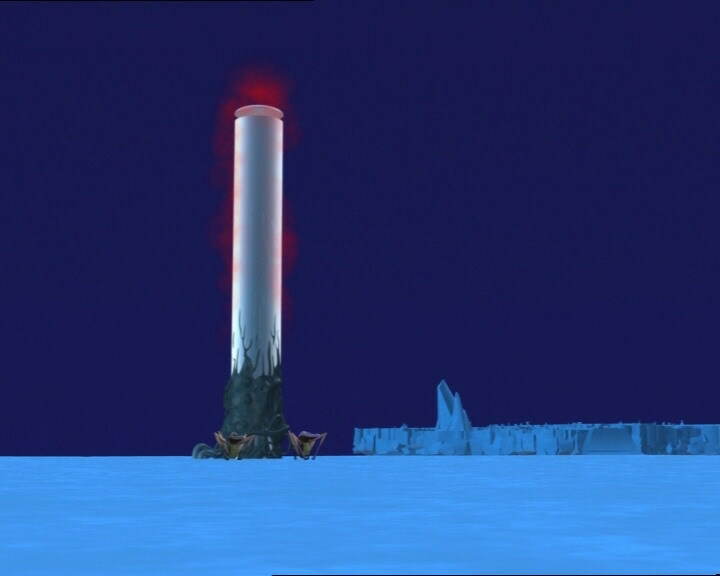 - Aelita’s outfit is inversed when she enters the Ice Way Tower. - It’s dorm room inspection day for the boys at Kadic. - The Megatank attacks like in episode 56 “False Lead” (horizontally). Allusion to the preceding episode in which Odd gave nicknames to XANA’s monsters. - Aelita destroyed the Ice Sector of her own free will! It’s unclear how she knew which code to type in. These are terms commonly found in fencing, a French sword fighting sport. Using the Olympics as a common example, matches are started with “En garde, si’l vous plait” (On your guard, please) then “Allez” (Go) and “Touché, point” (Hit, point) is said when a fencer hits their opponent. The way Ulrich uses his sabre at this point also resembles how one would use a sword in a fencing match. Odd: I’m just about through with Norbert! Ulrich: Odd, don’t tell me you’re still giving them stupid names! Odd: That’s right! When Odd checks in, XANA checks out! Odd: Norbert? You’re not gonna…aah! Odd: What, that’s all he could come up with? Hey, you know, you’d better start working on your A game! Ulrich: I suppose that was your A game against your pal Norbert? Odd: Can I have your portion? Odd: Fantastic! Shepherd’s pie tonight! Ulrich: Uh…in the bathroom, Jim. Jim: What? You mean all this time? Odd: Shepherd’s pie doesn’t agree with him. Ulrich: Stop. Reader’s digest version, how much time do we have? Ulrich: Did you have time to clean your room? Jeremy: You mean…since last week? No way. Jim: So, you can’t eat shepherd’s pie either, huh? Jeremy (to the others): What’s he talking about? Jim: What do you call this, Belpois?! Jim: And those things, what are they? Odd: Our Einstein really is a geek, isn’t he? Aelita: Go to class and tell them I got sick from…the shepherd’s pie! William: Sir? Uh, the bus is late! When’s it gonna come? Mr Chardin: There isn’t any, we are going to walk! Anything for art! Mr Chardin: Breathe deeply! Nothing like taking in a breath of fresh air before taking in some fine art! Christophe M’Bala: Which part of the museum are you gonna visit first, huh William? The impressionists, or the pop art? William: Neither, the gift shop! Ulrich: Odd! Try to free my hand! Odd: What, are you joking? First I’d love to be able to move my own! Odd: Uh, watch it, Einstein! Co-ordination’s never been your thing! Jeremy: How’re we going to get out of this one? Odd: Just like we said! Jeremy: But we didn’t say anything! Odd: That’s why we have a problem! Jeremy: Oh! (the roots flicker) Hold on, I think I may have an idea! Odd: That’s great. I’m drying to hear it. Jeremy: No time! But when I give you the signal, you’ve gotta try with all of your might to get yourself free, ok? Odd: I should try to get free? I could’ve thought of that without your help! Jeremy: You’ve gotta trust me, Odd! Odd: Can’t you think of something more convincing to say for once? Aelita: Should we use force? Ulrich: Is there any other way? Ulrich: Don’t have any! Supersprint, yeah! Ulrich: Since I’m in black and white, might as well fight the old-fashioned way! Ulrich (to Aelita): Alright, any last words before we get devirtualised? Ulrich: Oh, that’s what I wanted to hear! Good to see you, Odd! Odd: Here comes another Mega-Problem! Aelita: There is one way to do it! Jeremy: Go on, I’m listening! Aelita: Destroy the Ice Sector. Odd: Good old Aelita! Even during the worst of times she keeps her sense of humour! (realising she’s serious) Uh…you mean you weren’t kidding? Odd: Uh, hold it! We zap each other on three, or do we count to three and then zap each other? Odd: Wait! Aelita, don’t miss, ok? Jeremy: Right, the repairs are only temporary, but at least they’ll let us keep on fighting XANA! Aelita: We managed to save the Supercomputer. Odd: You did great, Aelita! Sissi’s right to call you Mrs Einstein! Yumi: Don’t forget that this last little adventure of ours cost us the Ice Sector! Odd: Don’t worry, as long as the Mountain Sector stays together, there’s still hope! Ulrich: Yeah, but for how long? Odd: Hey! I didn’t know you had the solutions for Bug Fire Attack! You mind? Odd: Sorry! Uh, you were saying?